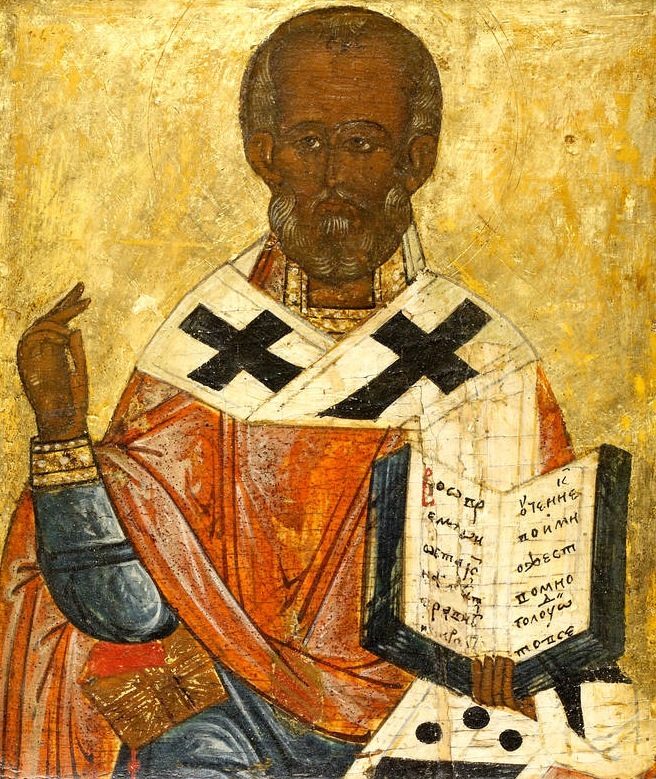 Today is the feast day of Saint Nicholas, also called Nikolaos of Myra, 4th-century bishop of Myra (now Demre, part of modern-day Turkey) in Lycia. Because of the many miracles attributed to his intercession, he is also known as Nikolaos the Wonderworker. 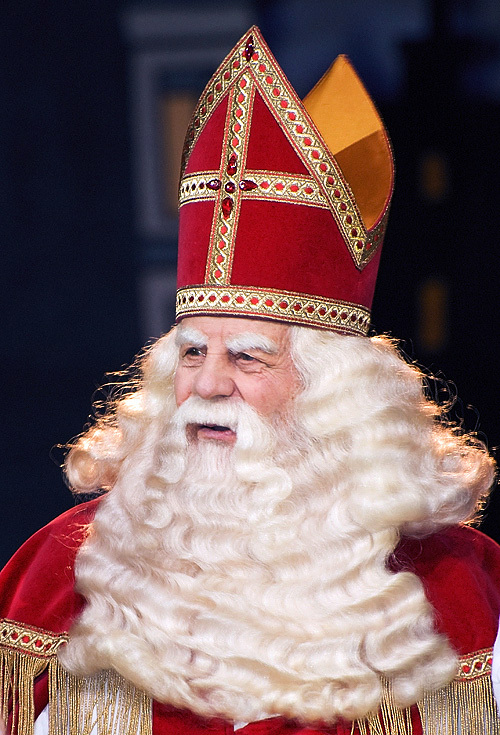 He had a reputation for secret gift-giving, such as putting coins in the shoes of those who left them out for him, and thus became the model for Santa Claus, whose modern name comes from the Dutch Sinterklaas, itself from a series of corruptions of the transliteration of “Saint Nikolaos.” In 1087, part of his relics (about half of the bones) were furtively translated to Bari, in southeastern Italy. For this reason, he is also known as Nikolaos of Bari. The remaining bones were taken to Venice in 1100. 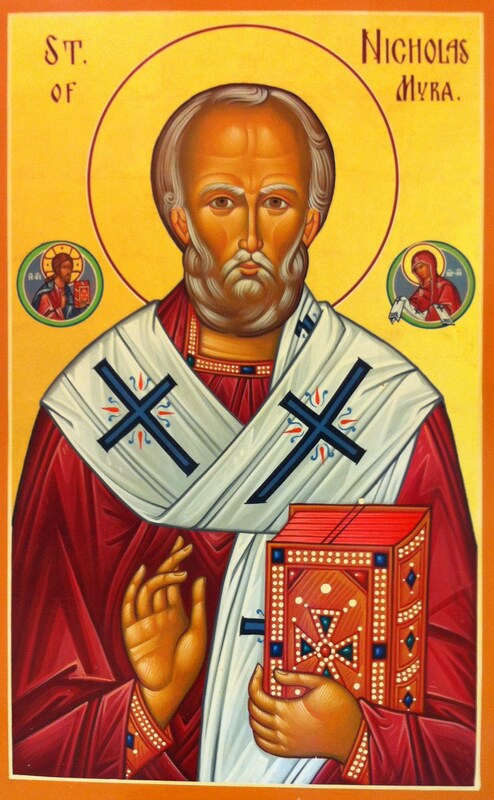 The historical Saint Nicholas is commemorated and revered among Anglican, Catholic, Lutheran, and Orthodox Christians. In addition, some Baptist, Methodist, Presbyterian, and Reformed churches have been named in honor of Saint Nicholas. Saint Nicholas is the patron saint of sailors, merchants, archers, thieves, children, pawnbrokers, and students in various cities and countries around Europe. 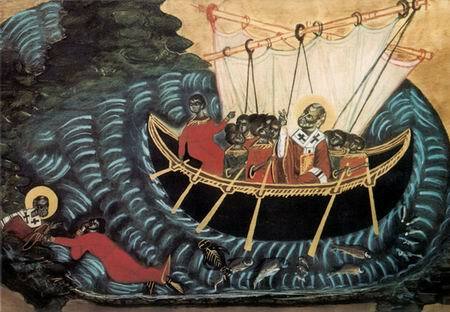 He was also a patron of the Varangian Guard of the Byzantine emperors, who protected his relics in Bari. Nicholas was born a Greek in Asia Minor during the third century in the city of Patara (Lycia et Pamphylia), which was a port on the Mediterranean Sea, and lived in Myra, Lycia (part of modern-day Demre, Turkey), at a time when the region was Greek in its heritage, culture, and outlook, and politically part of the Roman diocese of Asia. He was the only son of wealthy Christian parents named Epiphanius and Johanna according to some accounts, and Theophanes and Nonna according to others. He was very devout from an early age and according to legend, was said to have rigorously observed the canonical fasts of Wednesdays and Fridays (some say he would not breastfeed on those days). His parents died in an epidemic while Nicholas was still young and he was raised by his uncle—also named Nicholas—who was the bishop of Patara. He tonsured the young Nicholas as a reader and later ordained him a presbyter (priest). In 325, he was one of many bishops to answer the request of emperor Constantine to appear at the First Council of Nicaea. Nicolas was a staunch anti-Arian and defender of the orthodox Christian position, and one of the bishops who signed the Nicene Creed. Arius had argued that God the Son was a creation of God the Father and was subordinate to him, whereas the orthodox position was that Father and Son were co-equal and co-eternal. The main order of business of the First Council of Nicaea was to condemn Arius and Arianism. 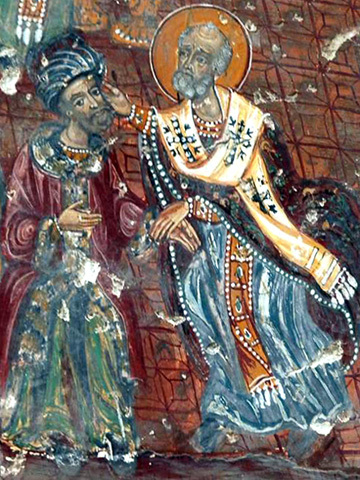 Folklore has it that at one point Nicholas was so furious with Arius that he boxed his ear. A number of miracles are associated with Nicholas. One legend tells how during a terrible famine, a malicious butcher lured three little children into his house, where he killed them, placing their remains in a barrel to salt, planning to sell them off as ham. 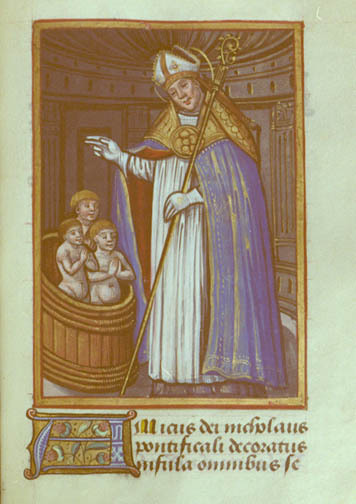 Saint Nicholas, visiting the region to care for the hungry, not only saw through the butcher’s horrific crime but also resurrected the three boys from the barrel by his prayers. Another version of this story, possibly formed around the eleventh century, claims that the butcher’s victims were instead three clerks who wished to stay the night. The man murdered them, and was advised by his wife to dispose of them by turning them into meat pies. The Saint saw through this and brought the men back to life. In his most famous exploit, one which many historians believe is rooted in Nicholas’ famed charity, a poor man had three daughters but could not afford a proper dowry for them. This meant that they would remain unmarried and probably, in absence of any other possible employment, would have to become prostitutes. 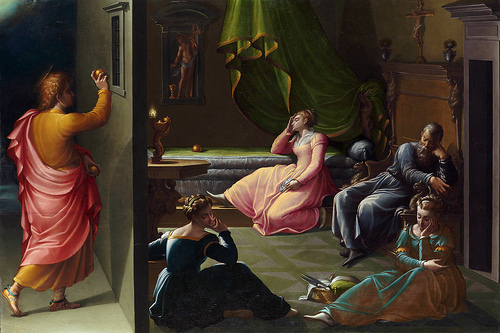 Hearing of the girls’ plight, Nicholas decided to help them, but being too modest to help the family in public (or to save them the humiliation of accepting charity), he went to the house under the cover of night and threw three purses (one for each daughter) filled with gold coins through the window opening into the house. One version has him throwing one purse for three consecutive nights. Another has him throwing the purses over a period of three years, each time the night before one of the daughters came of age. Invariably, the third time the father lies in wait, trying to discover the identity of their benefactor. In one version the father confronts the saint, only to have Saint Nicholas say it is not him he should thank, but God alone. In another version, Nicholas learns of the poor man’s plan and drops the third bag down the chimney instead; a variant holds that the daughter had washed her stockings that evening and hung them over the embers to dry, and that the bag of gold fell into the stocking, hence the tradition of hanging stockings up on Christmas Eve, and of Santa Claus coming down the chimney. 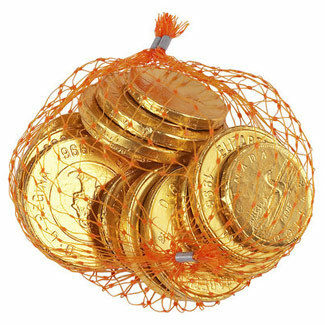 It is also customary in many countries to give children little bags of chocolate coins wrapped in gold colored foil on St Nicholas. In my family, as a small boy, I got gold/chocolate coins in my stocking on Christmas Day. During a great famine that Myra experienced in 311–312, a ship was in the port at anchor, which was loaded with wheat for the Emperor in Constantinople. Nicholas invited the sailors to unload a part of the wheat to help in time of need. The sailors at first disliked the request, because the wheat had to be weighed accurately and delivered to the Emperor. Only when Nicholas promised them that they would not suffer any loss for their consideration, the sailors agreed. When they arrived later in Constantinople, they made a surprising find: the weight of the load had not changed, although the wheat removed in Myra was enough for two full years and could even be used for sowing. 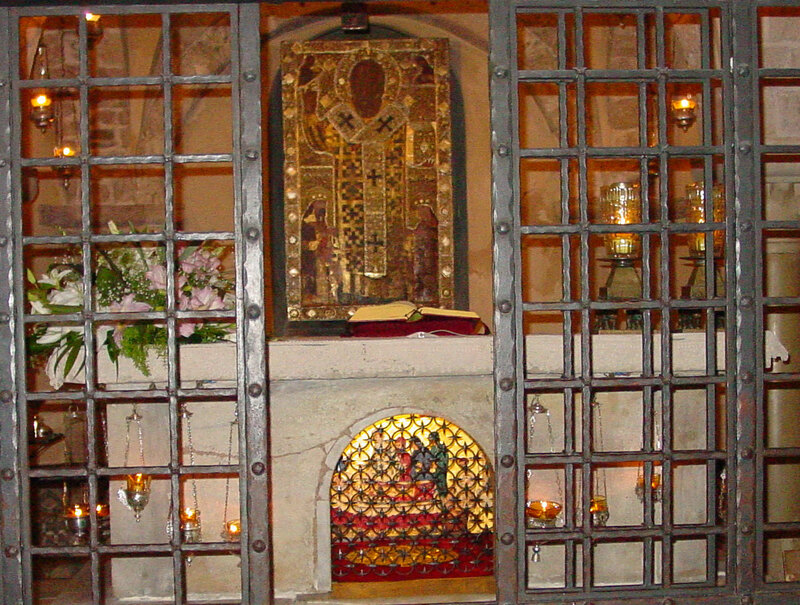 Whereas the devotional importance of relics and the economics associated with pilgrimages caused the remains of most saints to be divided up and spread over numerous churches in several countries, St. Nicholas is unusual in that most of his bones have been preserved in one spot: his grave crypt in Bari (where his bones were taken in the 11th century when Myra was captured by Turks). 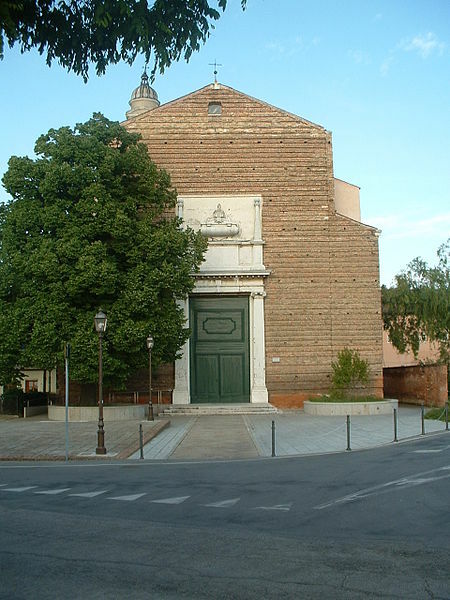 The archdiocese of Bari has allowed for one scientific survey of the bones. In the late 1950s, during a restoration of the chapel, it allowed a team of hand-picked scientists to photograph and measure the contents of the crypt grave. In the summer of 2005, the report of these measurements was sent to a forensic laboratory in England. 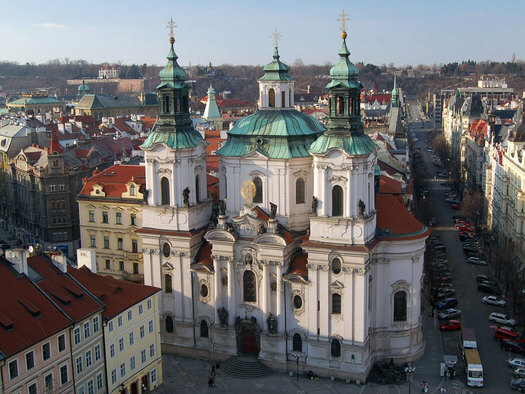 The review of the data revealed that the historical St. Nicholas was barely five feet in height and had a broken nose. From what I have read, there is very little reason to doubt that these are the actual bones of St Nicholas. 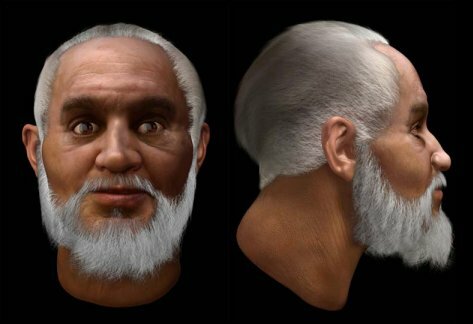 This is a modern computer generated reconstruction of his facial features based on his skull. Among Greeks and Italians he is a favorite of sailors, fishermen, ships, and sailing (owing to the miracle of the wheat). As such he has become, over time, the patron saint of several cities maintaining harbors. In modern Greece, he is still easily among the most recognizable saints, and on 6 December many cities celebrate their patron saint with masses, processions, and fairs. He is also the patron saint of all of Greece and particularly of the Greek Navy. In the Eastern Orthodox Church, Saint Nicholas’ memory is celebrated on almost every Thursday of the year (together with the Apostles) with special hymns to him which are found in the liturgical book known as the Octoechos. As well as in Greece, Nicholas is venerated in Russia with icons and special devotional prayers and liturgies. Many Russian Orthodox churches will have his icon, even if they are not named after him. In fact, I have visited many churches and cathedrals in Russia and have yet to find one that does not have an icon of Nicholas. In late medieval England, on Saint Nicholas’ Day parishes held Yuletide “boy bishop” celebrations. As part of this celebration, youths performed the functions of priests and bishops, and exercised rule over their elders. This custom has been revived in some English cathedrals in modern times. Today, Saint Nicholas is still celebrated as a great gift-giver in several Western European countries. In medieval times nuns used the night of 6 December to deposit baskets of food and clothes anonymously at the doorsteps of the needy. At one time on 6 December sailors or ex-sailors of the Low Countries (which was virtually all of the male population) would descend to the harbor towns to participate in a church celebration for their patron saint. On the way back they would stop at one of the various Nicholas fairs to buy some hard-to-come-by goods, gifts for their loved ones, and invariably some little presents for their children. 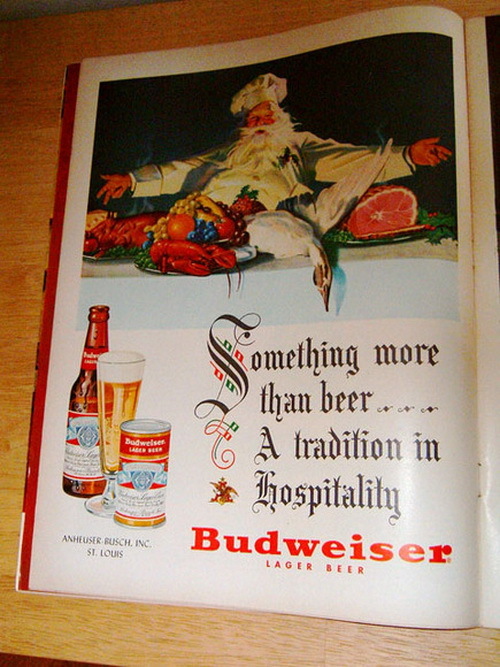 Hence the feast of St Nicholas was the main day of gift giving of the Christmas season. Saint Nicholas is a popular subject portrayed in countless Eastern Orthodox icons, particularly Russian ones. He is depicted as an Orthodox bishop, wearing the omophorion (a band of brocade decorated with four crosses and an eight-pointed star, worn about the neck and shoulders) and holding a Gospel Book. Sometimes he is depicted wearing the Eastern Orthodox mitre, sometimes he is bareheaded. Nicholas is depicted as an elderly man with a short, full white beard and balding head. In commemoration of the miracle attributed to him by tradition at the Ecumenical Council of Nicea, he is sometimes depicted with Christ over his left shoulder holding out a Gospel Book to him and the Theotokos over his right shoulder holding the omophorion. 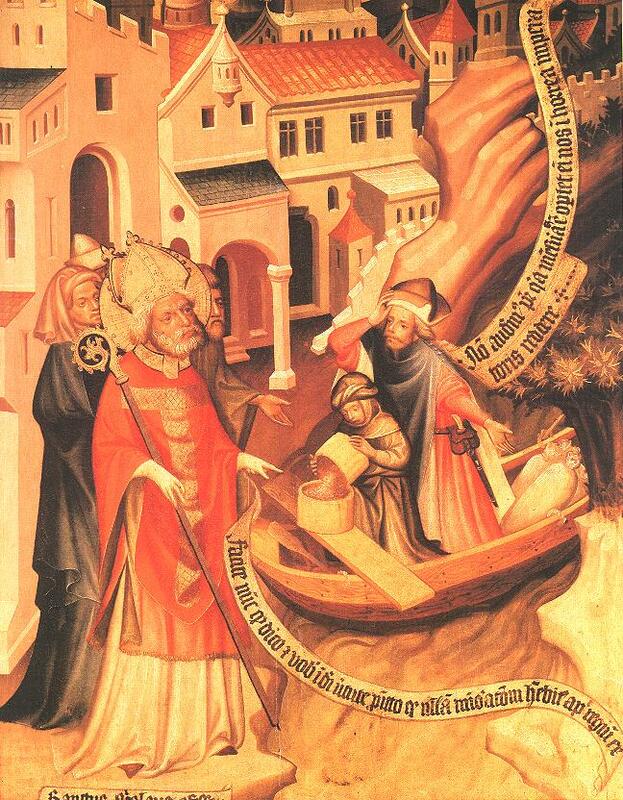 Because of his patronage of mariners, occasionally Saint Nicholas will be shown standing in a boat or rescuing a drowning sailor. 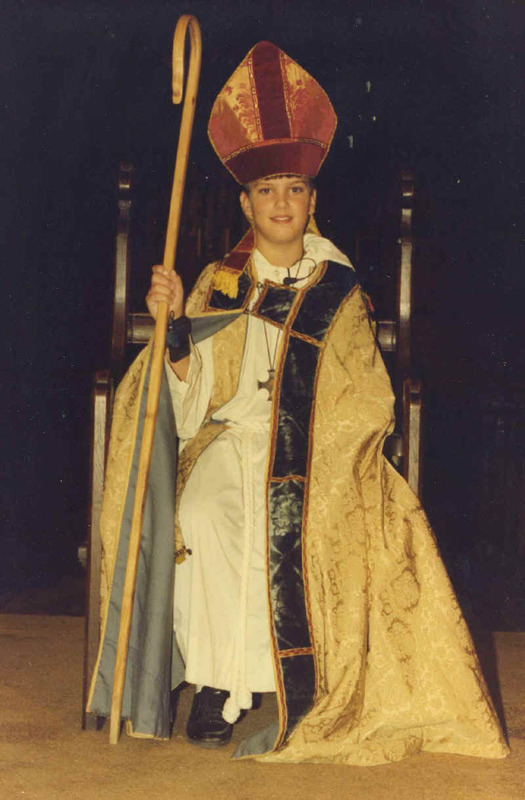 In Roman Catholic iconography, Saint Nicholas is depicted as a bishop, wearing the insignia of this office: a bishop’s vestments, a miter and a crozier. The episode with the three dowries is commemorated by showing him holding in his hand either three purses, three coins or three balls of gold. Depending on whether he is depicted as patron saint of children or sailors, his images will be completed by a background showing ships, children or three figures climbing out of a wooden barrel (the three slaughtered children he resurrected). In many western icons his vestments are episcopal red, occasionally trimmed with fur, so it is easy to see how with his white beard, his image was translated into that of Santa Claus. But it is important to remember that behind all the modern nonsense and hoopla surrounding Santa there is a real, live, flesh and blood man, noted for his generosity and kindness. There are endless recipes from around the world to celebrate St Nicholas Day. This site gives a fair number, although not all of them are traditional. Here’s a recipe for marzipan for diehards. Of course you can also buy it ready made. Prepare a workspace by sprinkling powdered sugar over a marble slab (best), wooden cutting board, or large baking sheet. Fill your sink or a large bowl with cold water. Place the sugar and ? cup of water in a large heavy saucepan and heat gently, stirring constantly with a wooden spoon, until the sugar dissolves. Add the cream of tartar and turn up the heat. Bring to a boil and cover, boiling, for 3 minutes. Uncover and boil until the temperature reaches soft-ball stage, 240°F/115°C on a candy thermometer. Immediately place the bottom of the saucepan in the cold water you have prepared, stirring the sugar mixture constantly until it becomes thick and creamy. Stir in the ground almonds and the egg whites. Place the saucepan back over low heat and stir for 2 minutes more until the mixture is thick. Spoon the marzipan on to your prepared work surface, and turn it with a metal spatula until it cools down enough to touch. Coat your hands in powdered sugar and begin to knead the marzipan, working it until it is smooth and pliant. 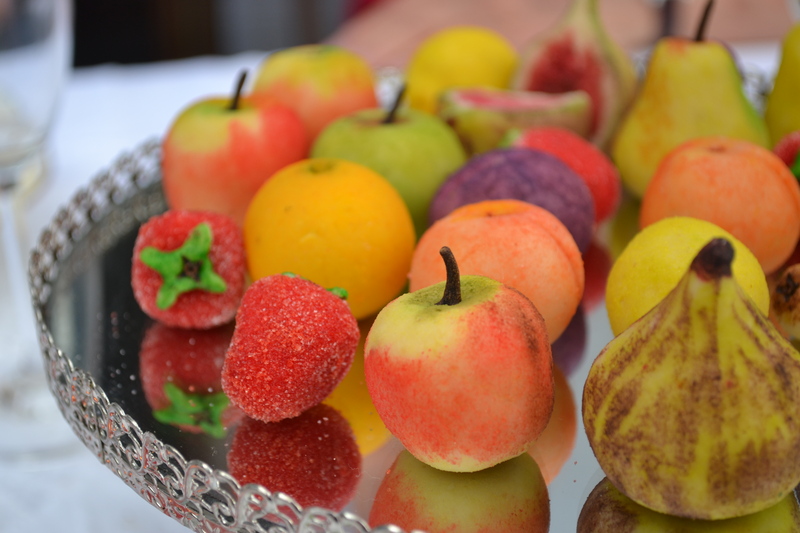 The marzipan can be used immediately or stored by wrapping it in plastic wrap and keeping it in an airtight container.